Lotus Flower contains a natural exfoliator known as the natural alpha-hydroxy acids which can help in removing dead skin cells and minimize blackheads. *NEW Micro Mask to Foam, 150ml (RM 59) : Is designed to be a mask + deep cleanser to effectively remove ultrafine particulate matter deep inside the pores. AD Micro Cleansing Foam, 175ml (RM 59) : Cleansing foam that contains Lotus Anti-PM Complex which is effective in removing all kinds of invisible impurities from dull skin. AD Micro Lip and Eye Makeup Remover, 100ml (RM 45) : Formulated for the sensitive skin in mind, this product minimises the stinging effect or blurring of the eyes should the product touches the eyes. The cleansing oil has a optimum ratio of water and oil combination and thus dissolving makeup with ease without the need to rub the face. AD Micro Cleansing Oil Tissue, 50 pieces (RM 59) : Infused with lotus extract and vegetable oil, making it a brilliant moisturizing agent that does not make the skin feel tight when used. AD Micro Cleansing Oil, 200ml (RM 89) : Formulated with watery oil that is light and non-sticky. It cleanses effectively without leaving residues. Fortified with lotus extract for moisturizing benefits, the cleansing oil is also blended with natural rose hip oil and lavender oil to soothe exhausted skin and help regain its clear texture. Damask Rose is a hybrid species known for its fine fragrance and is commercially harvested for the production of fragrance, rose oil and rose water. *NEW Petal Spa Cleansing Oil, 200ml (RM 89) : Contains 20 times more vitamin A than tomatoes and 17 times more vitamin C than lemons and it has excellent moisturizing power. The Rose oil is known to prevent and minimize acne-causing bacteria. 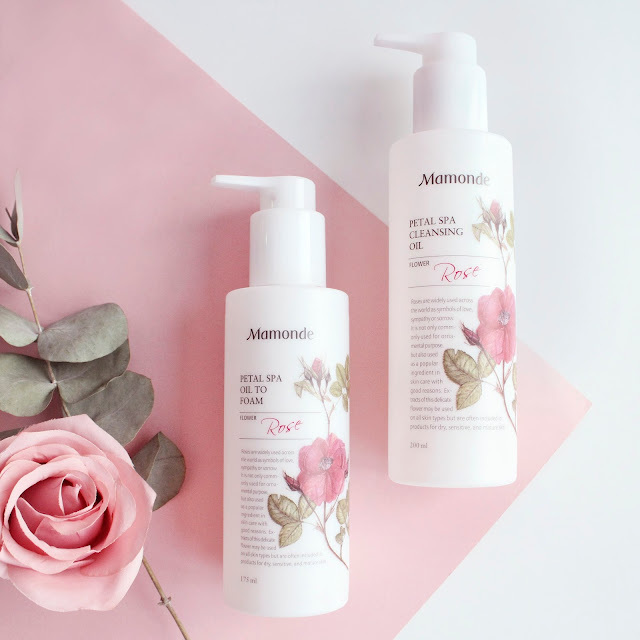 *NEW Petal Spa Oil to Foam, 175ml (RM 59) : Makeup removal is done with ease with Mamonde's Petal Spa Oil to Foam. Just apply the oil and massage the face to dissolve the makeup and it will leave the skin dewy and fresh. The Iris is a winter flower and is packed with natural goodness including anti-aging, skin-soothing, and it also contains isoflavones which make the skin looks healthier. 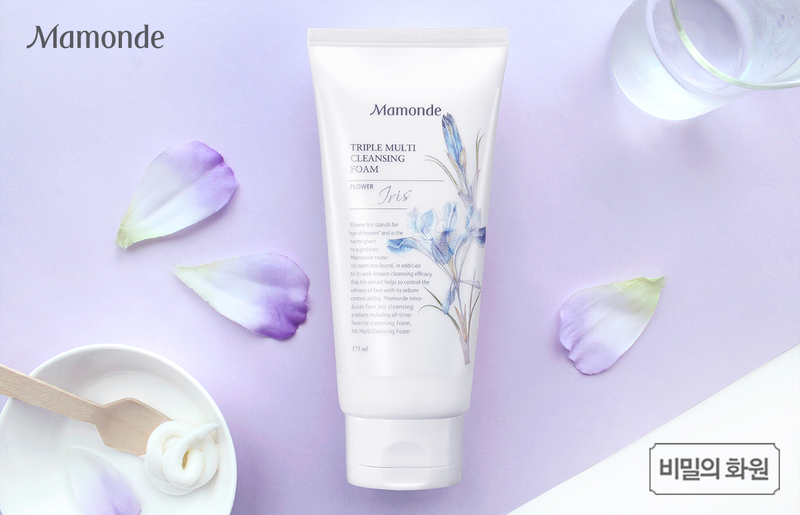 AD Triple Multi Cleansing Foam, 175ml (RM 49) : It is a 3-in-1 cleansing foam that promises to remove makeup, sun creams and dead skin cells at one go. It also helps to remove excess oil from skin that revitalizes the skin after wash.
Mamonde's Cleansing Line is available at Mamonde Beauty Counters at AEON 1 Utama PJ, AEON Mid Valley Megamall KL, Parkson Suria KLCC, AEON Bukit Indah JB, AEON Tebrau City JB, AEON Queensbay Mall Penang and Parkson Gurney Plaza Penang. You can also purchase it online via 11street.my and Lazada.com.my.